We see a trend in the way Binary Options trading softwares are named nowadays. You must have observed that most of them launched in recent times are named after cryptocurrencies. It seems the intent is to attract your attention using Bitcoin and its spin-offs. 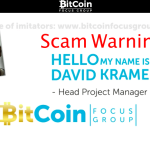 Last week, we exposed Bitcoin Code scam. One more in the series of such trading software is the Ethereum Code App. Have you also heard of it or even considered putting your money in it? For your information, we have reviewed this App and this post on Ethereum Code review will bring out what we have found out. We would say that if you stayed away from it, you did the right thing. If you decided to put your money in it, our Ethereum Code review would not make you happy. The Ethereum Code is nothing more than a scam. Don’t let the well made website fool you. Not everyone has the time and patience to investigate. But, you really should invest your time and energy before investing money. Anyways, we have done all the investigative work. Our investigation brought out that many of the statements on the website are false. They may not look untrue at once, but when you take a closer look, they will. The claim of earning that people have made using the Ethereum Code software differ so much. The people who are behind Ethereum Code scam are counting on the media frenzy around bitcoins. The Ethereum Code is the same scam software also known as the Bitcoin code, but out with a different name. The same bunch of scammers operate for it too. One of the reasons which made us doubtful of the Ethereum Code is the unrealistic earning claims. The video lets you know in the beginning that you’d be able to make “thousands of dollars a day”. We wish it were true. 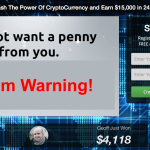 In one of the testimonials, a person has claimed to have made over $9,000 through it. What else can be more doubtful? Anyone who has done some serious trading himself can easily catch the intensions and all those unrealistic fake claims. Can someone ask that man, how much did he invest to have made such a huge profit? Was he already a millionaire or what. The video on the website mentions about a “State-of-the-Art” algorithm. No one cares to explain what the algorithm is or what it does. All the scams, want you to believe such false statements. Any genuine software would make sufficient effort to inform you about each and everything. The video also mentions that the algorithm scans the financial markets 100’s of times a second! Isn’t it a miracle. The algorithm finds the best trades available in the Bitcoin and Forex trading after analyzing the data from the markets. It then invests your money in the trades which present the “Best Trading Opportunities”. Do not believe what the voice in the video says. In a summary, the scammers have just one job and algorithm. And that is to steal your money and there is no algorithm. Jade Baker is the alleged creator of the Etereum Code scam. We don’t know anything else about him. We tried to search for him in the financial world but failed. The man who promises to provide you financial independence is unknown on this round earth. It just does not make sense that any guy who is helping people by making them financially independent is not featured on any of the financial blog or magazine. Another thing which is common in most of the scam trading robots. 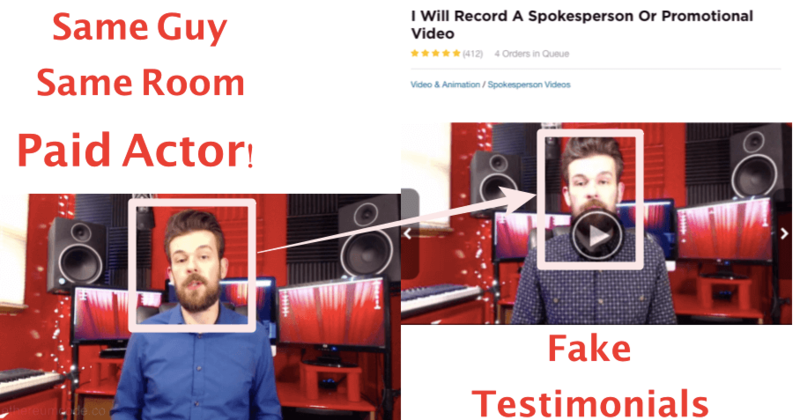 Ethereum Code scam is using fake testimonials in their pitch video. They have hired cheap actors from fiverr.com who are just reciting the script given to them for few dollars. Why any genuine trading robot creator will need paid actor to prove the exceptionally high results. They have also placed many stock photos on their website in the testimonials section. We tried to find about Mr. Christopher Farrell by doing a reverse image search of the image & see what we found. It is just a photo of any random guy which is stolen from Google. These are another proofs to justify what we are trying to say in this Ethereum Code review. Most of the Binary Options trading software use the same line to attract traders. On similar lines, the Ethereum Code website also says so. Fine that they would never ask us our credit card details, your bank details or your Paypal account details; they would steal it. They would steal your money once you decide to invest with the software after signing up. You have to invest the mandatory $250 with the “Best” broker of their choice. Only after you have made an investment would you be able to make any profit or loss. Also, how much profit you make is dependent on the investment. The software claims to make an average 90% of winning trades. There are claims which can be very easily seen on the website. Users testimonials have reported that 9 out of 10 trades win. Any genuine and good auto trading software cannot manage such performance. A 90% success rate is just too good to be true. If you look at the “Live Results”, you would see all the trades ending as winning. You should not believe such shameless claims. A success rate of around 75%-80% can be possible as with really good softwares like Option Robot or Binbot Pro. How Many Free Software Licenses Are There? The website tries to fool you in not one but many ways. There is a counter that starts running when you visit it. It is the time that you have the opportunity to register for the Ethereum Code. After the window expires, you’d miss the opportunity to make thousands of dollars a day. Only a few places are available for people. This gives one more opportunity to bring out the truth. When you refresh the webpage, the timer refreshes to the start. Does this mean that they are again giving you the opportunity? Not really. Its just a way to make a fool out of you. 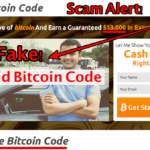 Verdict – Ethereum Code is 100% Scam! If you are looking for a genuine trading robot then I recommend you to go with Option Robot or BinBot Pro. Option Robot is not available in many regions, in such cases we recommend our readers to join BinBot Pro. (Option Robot is performing slightly better than BinBot Pro). The internet is full of Binary Options Software. It should be your most important job to verify the brokers or the software itself before investing money in it. Always invest small amounts if you feel that a software is safe to trade with. You should never try to become rich overnight. The fact is that nobody can become a millionaire overnight except for very rare instances. If you want to earn money in binary options trading, first choose a good software with a decent success rate. The best thing to do is to read our reviews because our reviews would throw light on all the cunning deeds of the scammers. 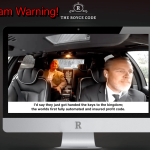 The Royce Code Review – It Is 100% Scam Software! Great comments makes all the waiting justified now everything you’ve said is what I was thinking or acted upon great cheers some of us just want to better ourselves and not just get ripped off!!!!!!!! 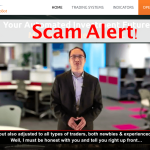 i was a victim of binary option scam, traded with 72option and was able to start with a 200pounds investment and then i emptied my credit and debit card all in hopes of getting better return. After trying to withdraw some funds from my trading account i could tell something was wrong so i tried charge back but they kept giving me stories. Finally i stumbled across this company calagarysecurity dot org, they did what i never believed in, firstly i had doubts on how they were going to get my investment back but trust me i got every penny back including my profits. Thanks Ms Sofy for this exposé. No wonder, they kept on telling me about the deadline, yet they did that almost everyday for months now. I finally decided to open their link last night, and check out the authenticity from google and i saw your post. Many thanks again. They try to make us believe that they are philanthropists ! If the system was that good in generating this kind of money they would keep it to themselves. This is human nature. Bookmakers give you free bets to lure you into their spider’s web. All I say to Ethernum code is go take a hike ! Or give me a free bet to convince me. Exactly Luigi 🙂 Though you can get demo account of Option Robot before you start trading with them. Too many scam companies out their I have tried several and they just steal my money plus they ring me up late at night or in the early hours of the morning I am just over it. I am so mad at them that I am about to get even by reporting them to the authorities. So incredibly grateful I came across this article, Thank you sofy! 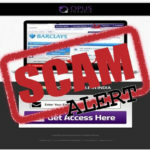 Are you able to recommend trading options that are not scams as everytime I search all I find is another scam! Sorry to hear of your losses.. Thank you Sofy,you have opened our eyes now. I was thinking this ethereal code was a scam. So I queried it and sure enough SCAM. I’m sorry for all who have been scammed. If I was a millionaire I would send you the money you lost. The old adage If it sounds too good to be true it probably is, is and always will be good advice. Thanks Soft for this news. I was about to invest. Can you provide me with genuine companies and softwares I can use? You can join Option Robot. It’s a good trading robot. Thanks Sofy, I invested about us $2000 one and half yer ago, lost everything, was called numerous times to add up my account. Refused the offer. Can you provide me with genuine companies and software I can use? You can join Option Robot. It’s really performing good now a days for me and my team. Hi Sofy, you are my savior today, THANK YOU, THANK YOU, THANK YOU. Phew! I almost got scammed by Ethereum Code. I live in Durban South Africa. I am keen on investing my “Hard Earned Money” to trade Crypto Currencies, to make a daily profit & would not want to lose my money & also would not want to be scammed & then to be told that “The Systems Default Settings” are the cause for the loss of my initial investment. I want to join a “Legitimate” platform & be able to receive “Real” profits on a daily basis and be able to cash in my profits without any hassles. 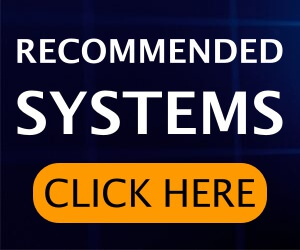 Your Recommendation will be Highly valued…. and again, THANK YOU.